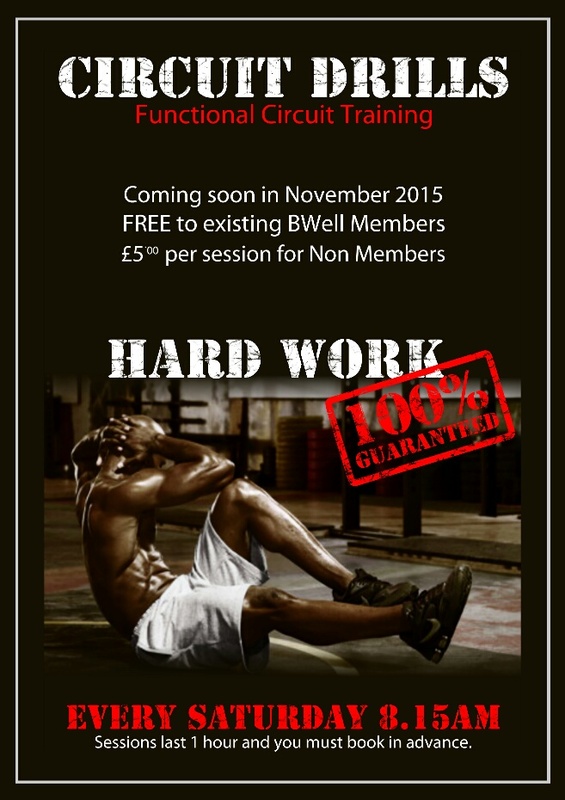 Starting Saturday 3rd November at 8:15am for 1 hour…..Hard Work guaranteed!! Suitable for all of you who want to get the most out of your workouts, The sessions are FREE to all BWell members but only £5 to non members. You will need to book in advance at reception to reserve a place.